This week Whitfield interviewed Neal Froneman, CEO of Sibanye Stillwater, South Africa’s largest individual gold producer and one of the 10 most prominent in the world. The company has been in the headlines of late as it is mired in a five-month strike at its gold operations where nine people have died. Froneman trained as a mechanical engineer at the University of Witwatersrand. He maintains his professional registration as an engineer. He also holds a degree in Accounting Science from the University of South Africa. He has a two-decade-long career in technical, operations management and corporate development positions at Gold Fields, Harmony Gold, JCI Limited. In 2003 Aflease Gold appointed him as CEO out of which in 2005 he created Uranium One where he was CEO until 2008. Neal was influential in building Aflease Gold into Gold One in 2009 through a sequence of reverse takeovers. He was CEO of Gold One until his appointment as Executive Director and CEO of Sibanye on in January 2013. 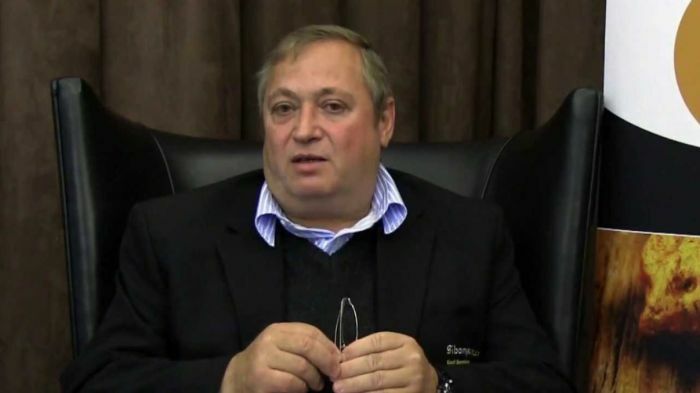 Froneman is the Vice President of the South African Chamber of Mines. What does he believe about money? How did his childhood experiences shape his views on money? Wherever I’ve stepped into another business… I’ve invariably come short! The Money Show’s Bruce Whitfield interviews Gradidge about his attitude to money (hopes and fears, successes and failures, etc.). The Money Show’s Bruce Whitfield interviews Kganyago about his attitude to money (hopes and fears, successes and failures, etc.). Bruce Whitfield interviews analyst Chris Gilmour about his attitude toward money (hopes and fears, successes and failures, etc.). The Money Show’s Bruce Whitfield interviews Brown about his attitude to money (hopes and fears, successes and failures, etc. ).